Over a million cases of water damage due to rotten pipes are reported in Germany every year. Infrared heating panels and plastic enclosures are used to restore damaged walls, but they consume large amounts of energy. A new electric, vapor-permeable, flexible drying system developed by Fraunhofer researchers reduces the moisture evenly throughout building components in an energy-efficient manner. Fraunhofer will be exhibiting the prototype of the drying module at the BAU 2019 trade fair in Munich from January 14 to 19. Burst pipes, damaged fittings, leaky boilers – every 30 seconds a new case of water damage is reported in Germany, according to the German Insurance Association (GDV). As a result, building insurers are faced with costs of 2.3 billion euros every year. When pipes burst, walls and floors have to be professionally dried; heating and airing them is generally not enough. Before now, damage to water-soaked walls has been restored using standard infrared heating panels and a plastic enclosure in combination with adsorption dryers, which is very energy-intensive. In addition, drying is often uneven using this method, with the corners of rooms proving hard to reach. Researchers at the Fraunhofer Institute for Building Physics IBP in Stuttgart have developed an alternative: the EDF drying system. The German acronym EDF stands for energy-efficient, vapor-permeable, and flexible, which describes the module perfectly. Laboratory tests under identical conditions on soaked vertically perforated brick walls have shown that the new method reduces energy consumption by over 80 percent compared with IR heating panels over the same drying period. How it works: Measuring 100x50 centimeters, the system consists of a fireproof, vapor-permeable insulation material and an electric heater, which applies the heat directly to the wet interior wall. It also works on curved surfaces and round walls. A sensor regulates the heating temperature. If the temperature is increased, the drying process kicks in. 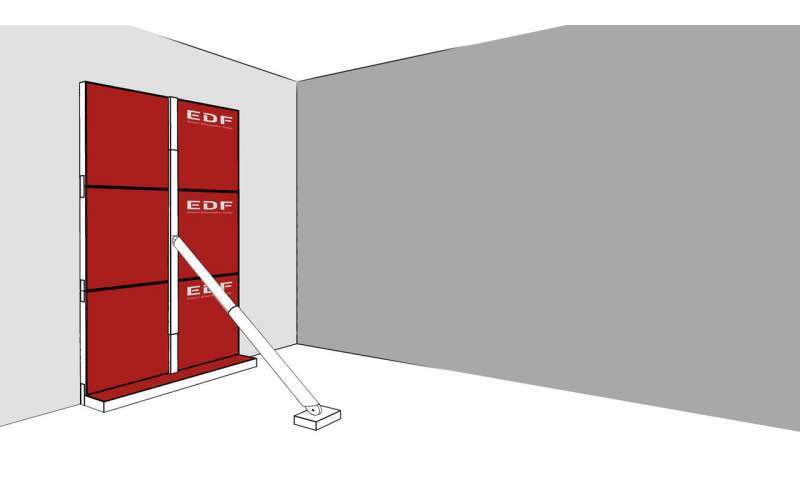 Vapor-permeable insulation on the back of the EDF drying module, for which a patent application has been filed, minimizes heat loss while letting moisture through unobstructed. "Our system is particularly efficient, as the heat is emitted directly onto the wall, whereas IR panels are set up at a distance from the wall, which means much of the energy goes into heating the room. Another advantage of our EDF module is that drying is temperature-controlled," explains Andreas Zegowitz, a scientist at Fraunhofer IBP. "To dry a vertically perforated brick wall with a thickness of 11.5 centimeters, we needed 12 to 14 days in our test facility. Usually, a job like this takes two to three weeks." Further advantages of the simple-to-install EDF system are its even, noiseless drying and its lightweight design, which makes it easy to transport. With the WUFI simulation software from Fraunhofer IBP, the team of researchers is able to calculate the drying processes and predict the drying duration and the energy required, which helps reduce the development costs. Zegowitz and his colleagues are using the tool to optimize the prototype. As the next step, field tests are planned in buildings with real water damage. They are scheduled to run from the end of September to the end of December 2018. 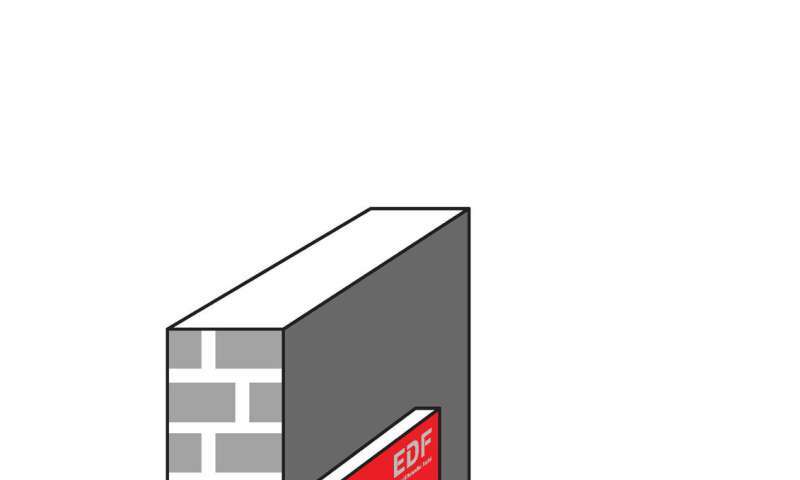 The market launch of the EDF module is slated for the summer of 2019.